Who wouldn’t want to leave a trail of glitter wherever they go? MTV visited the set of Shadowhunters earlier this year and got to chat with the cast about the glittery, immortal Magnus Bane, who is always the coolest person in the room. He looks really great! 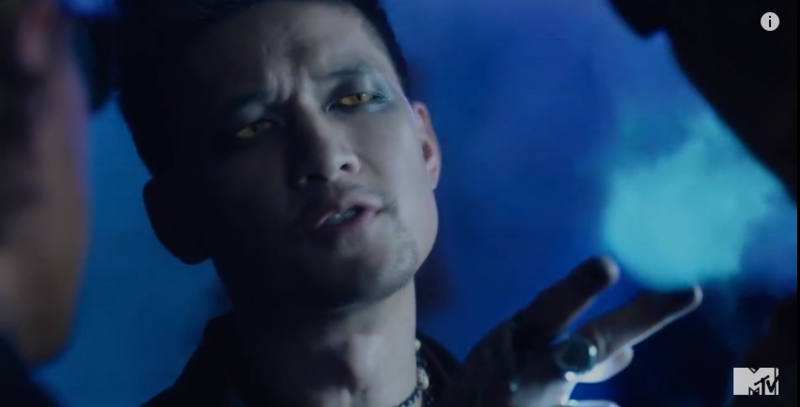 I’m really loving Harry as Magnus. Magnus is just one heckva charming stunning (& thoughtful) guy…. how can you help but love him? I always though Harry was one of the more under used actors on Glee. I’m so glad he’s Magnus. He’s already doing things with this magnificent character that excites and capture me. I didn’t realize that’s who he was(is)! That makes me really happy to know. His fabulous dancing ability will give him that extra cat-grace that enhances everything Magnus does. He is by far, one of the most interesting characters Cassandra has created and I look forward to seeing Harry’s interpretation!